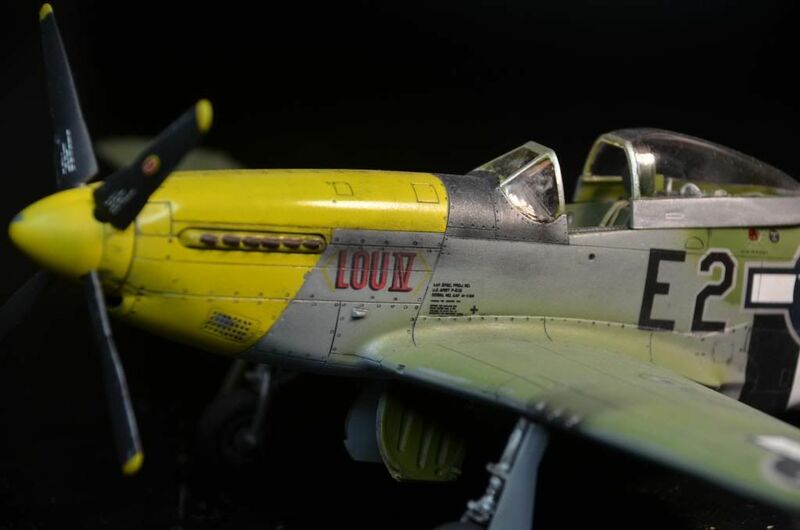 Back when I could still see smaller scale models I went after Tamiya's really nice 1/48 Scale P-51D kit with the Lou IV markings. 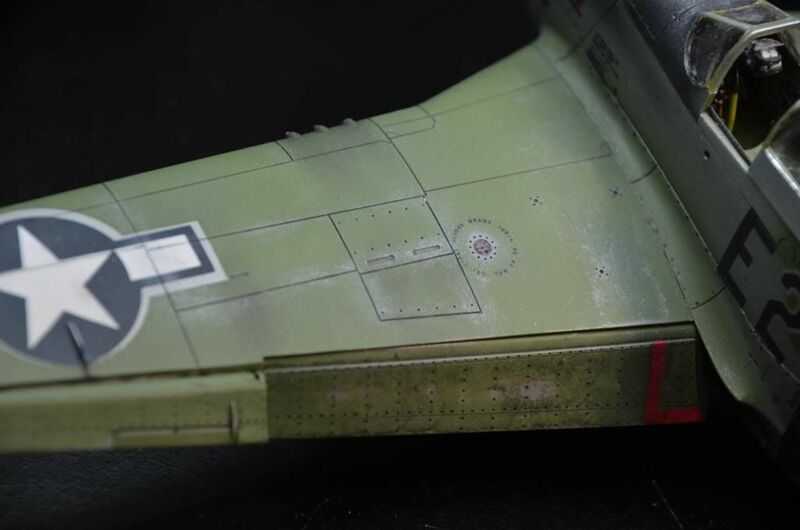 Added some Eduard cockpit PE but the big exercise for me was dropping the flaps and working weathering the paint. I wanted a really well worn Lou IV. Left wing insignia is way off register; I just have not done anything yet to fix it. 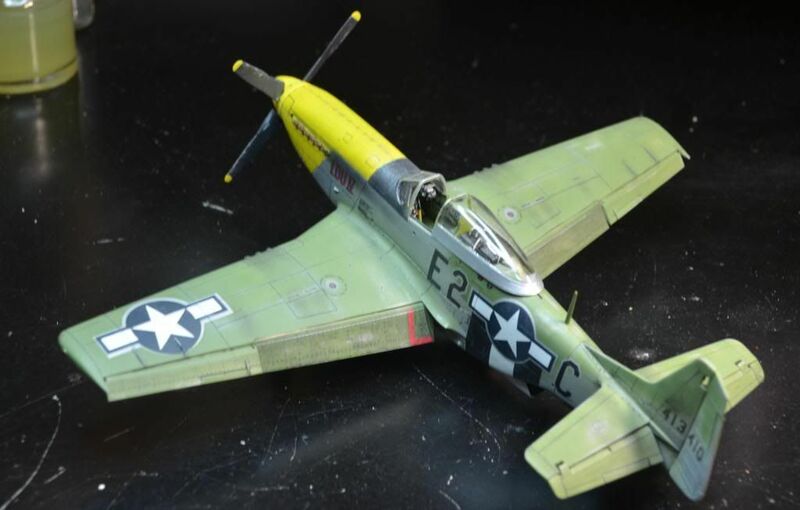 Paint is mostly Model master acrylics weathered using sanding pads of various grits. 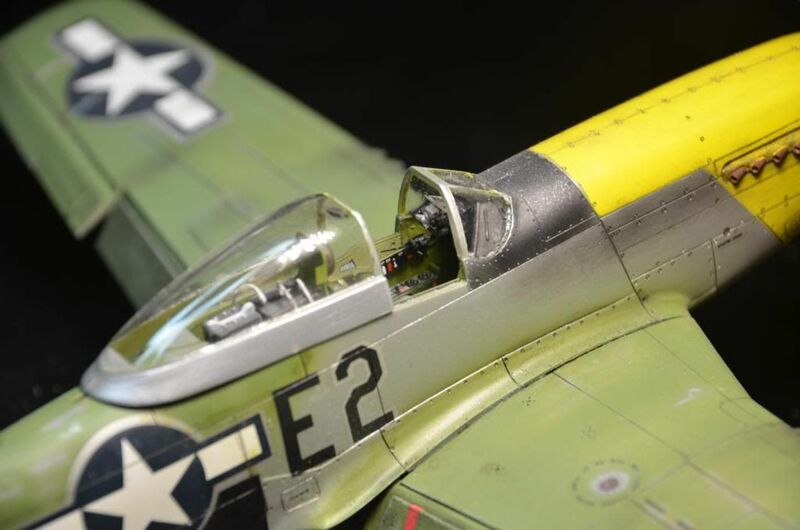 Last picture shows the both of the ailerons dropped - I fixed it as shown in the previous pictures but it took me a long time to find the errror. Awesome work on a great kit! 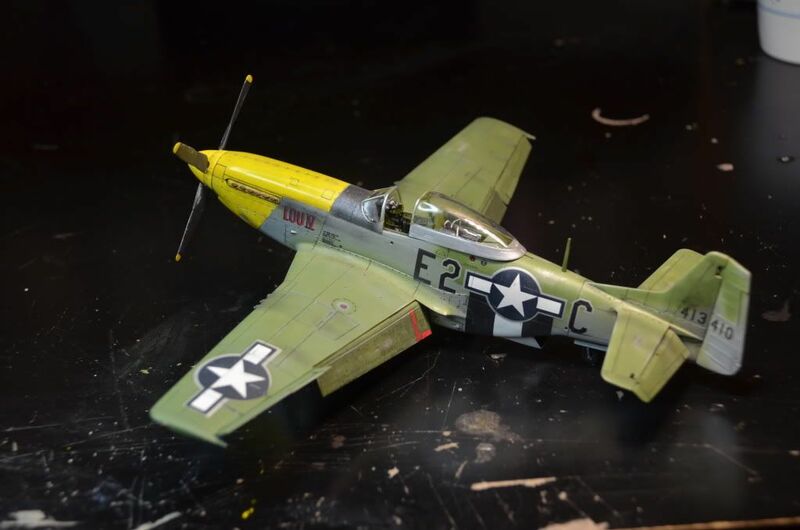 how did I miss such a STUNNING model that you built. 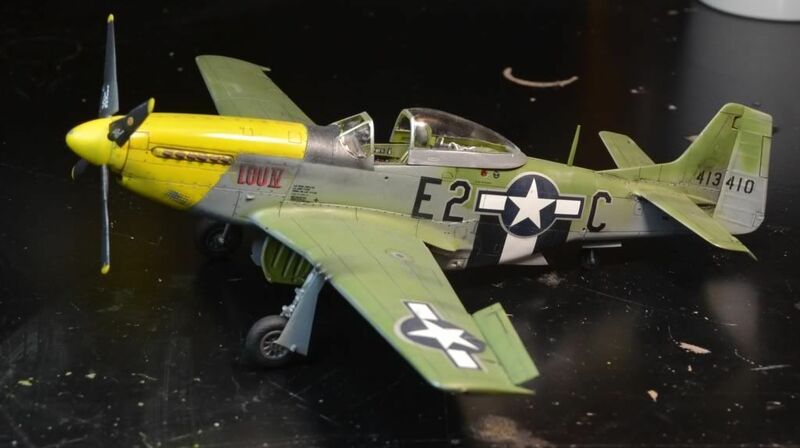 Wow, Really nice P-51D, Love the paint scheme, she's a Beauty.